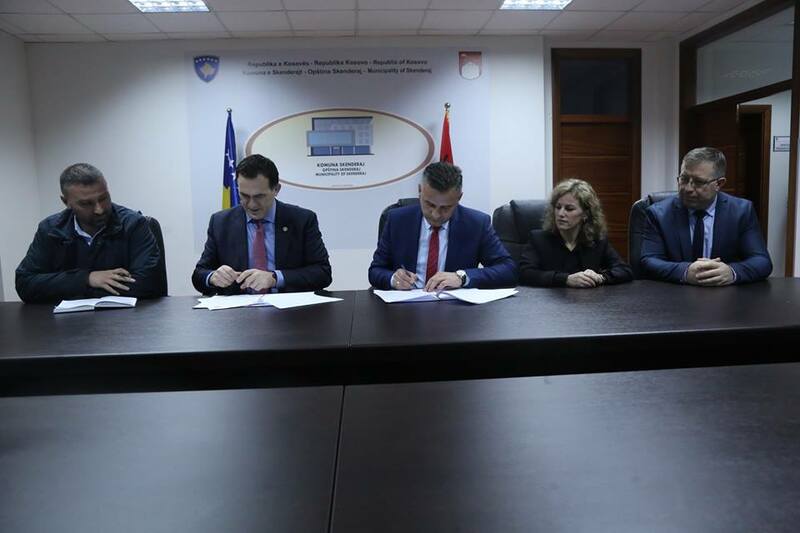 The UBT Rector prof.dr.Edmond Hajrizi has signed a collaboration agreement with the head of the Municipality of Skenderaj, Bekim Jashari aiming to foster the collaboration in developing and implementing a wide range of projects in the field of economy, industry, urbanization, and other fields of common interest. 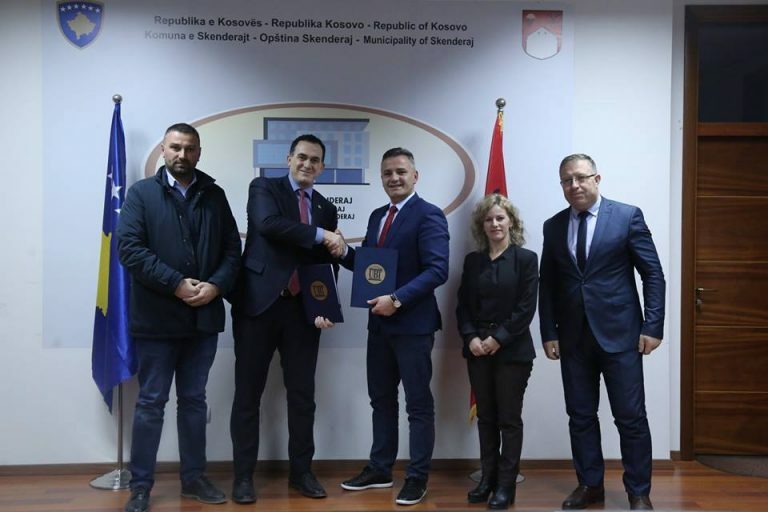 Thanks to this collaboration the municipality of Skenderaj will gain profits from the professional expertise, ideas and innovations of the experts and students in providing solutions to emerging problems and worrisome issues. 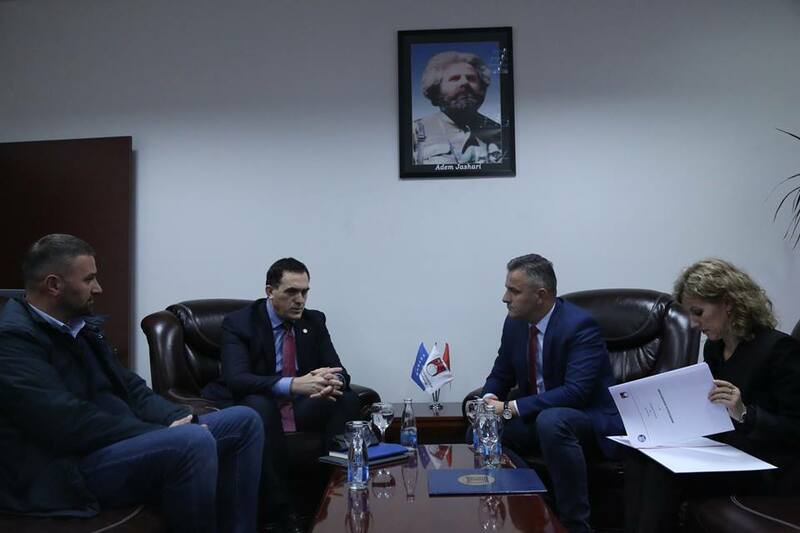 The UBT Rector Hajrizi and the head of this municipality Jashari agreed to build up mutual institutional and developing capacities. Whereas, during the upcoming years we are going to draft numerous programs in relevance with our collaboration agreement. 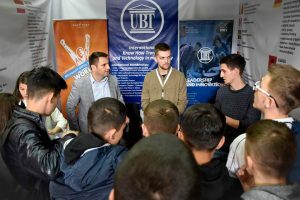 In the framework of this agreement UBT is going to offer scholarships for Skenderaj students, particularly for those who are eager to be subject to a qualitative education. Among others, it is of significant importance to raise professionals who will contribute to increasing of economic standards.